The Zirconia Lambda sensor which is by far the most common narrow band sensor is used to determine the air/fuel ratio in the combustion chamber by reading the oxygen demand of the residual exhaust gas. The sensor tip is made of catalytic material, is hot, and is subject to hot exhaust gas. This exhaust gas may contain some unburned or partially burned fuel if the air/fuel ratio in the combustion chamber is “rich”. To complete the combustion of the unburned or partially burned fuel in/at the catalytic material at the hot sensor tip, additional oxygen is needed. 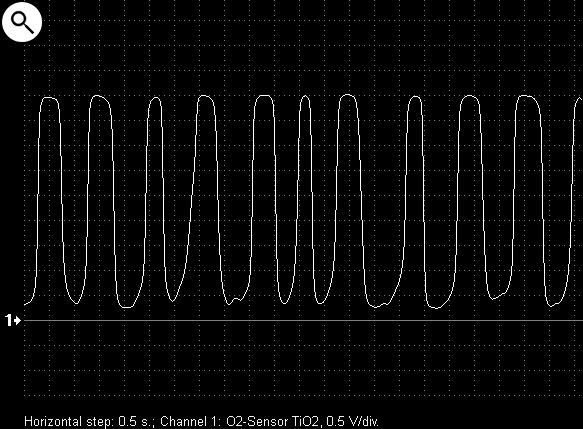 This additional oxygen travels through the membrane at the sensor tip and causes a potential (voltage) difference to develop. 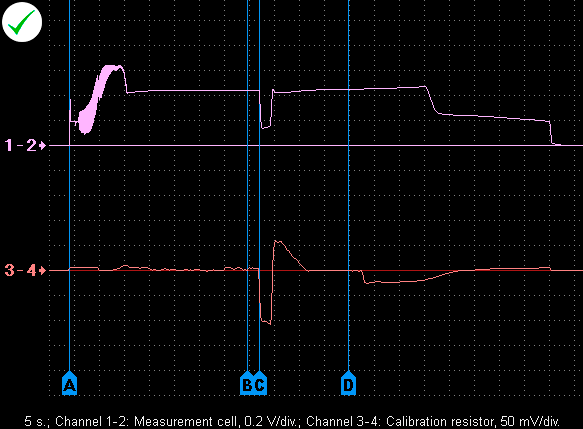 This voltage potential is then read by the computer and interpreted as a rich condition. If the air/fuel ratio in the combustion chamber is “lean”, no additional oxygen is needed and a voltage potential does not develop. 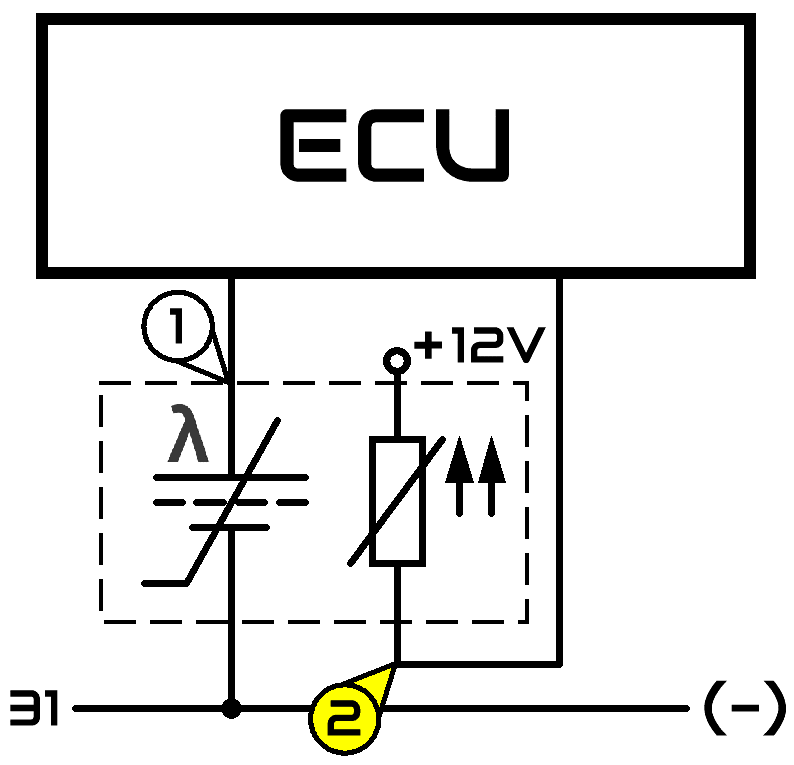 This low voltage condition is interpreted by the computer as a lean condition. 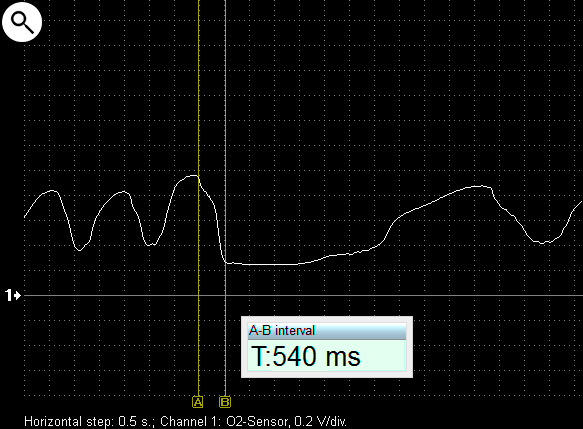 A very rare sensor is the Titania sensor. 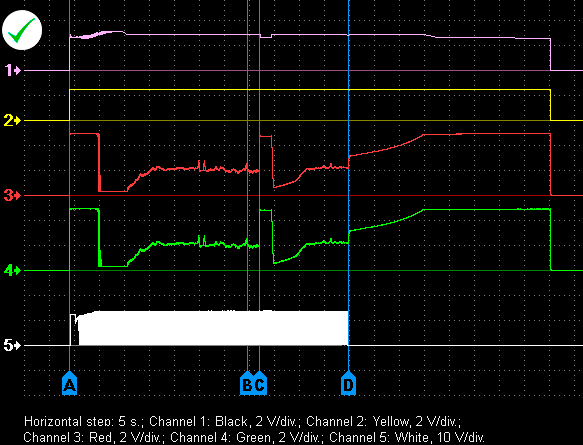 This sensor is a true oxygen sensor and it varies it’s resistance according to the oxygen content in the exhaust stream. The sensors can be mounted before as well as after the catalytic converter. 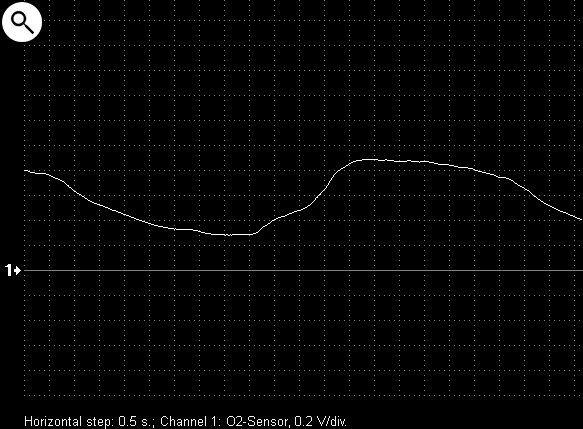 wide band lambda or air/fuel ratio sensor. 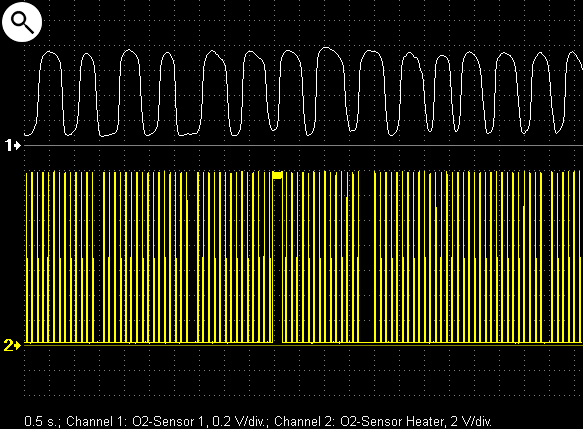 Output voltage waveforms from a properly functioning zirconia narrow band lambda-sensor and power supply sensor heater. 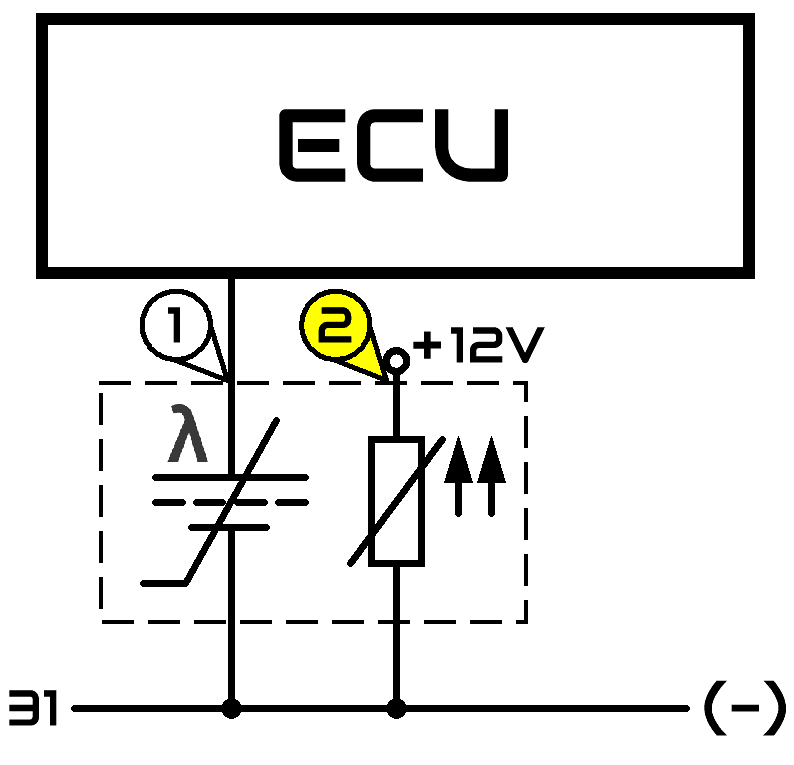 E – closing of throttle valve. 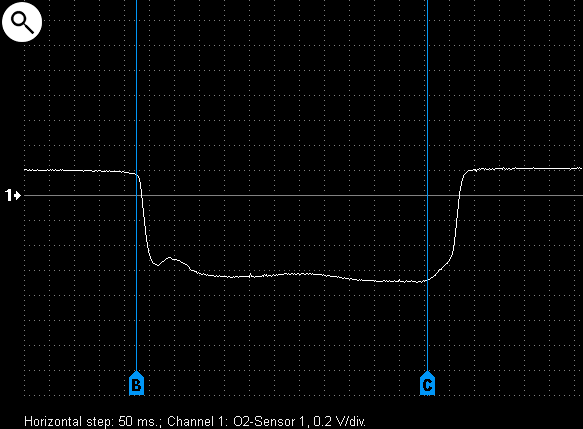 Engine running at high RPMs. 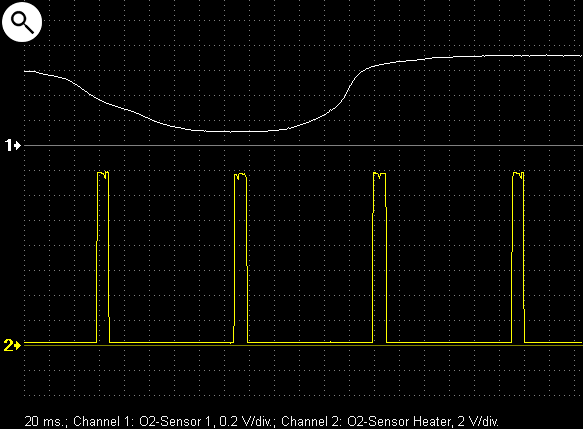 Output voltage waveforms from a properly functioning zirconia narrow band lambda-sensor and control voltage of sensor heater. 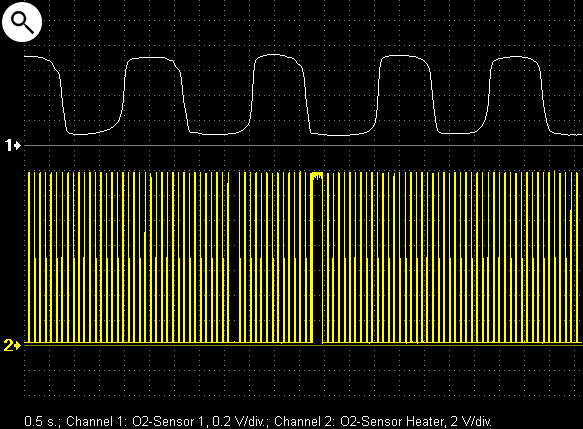 2 – PWM control signal for the the sensor heater. 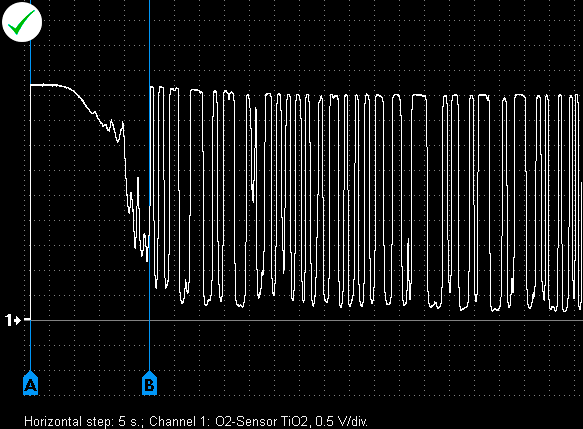 Output voltage waveforms from a properly functioning zirconia narrow band lambda sensors. C – closing of throttle valve. 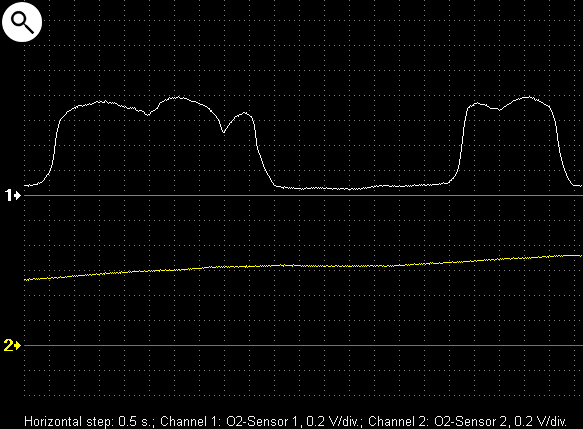 Sharp throttle closing at 3000 RPM. 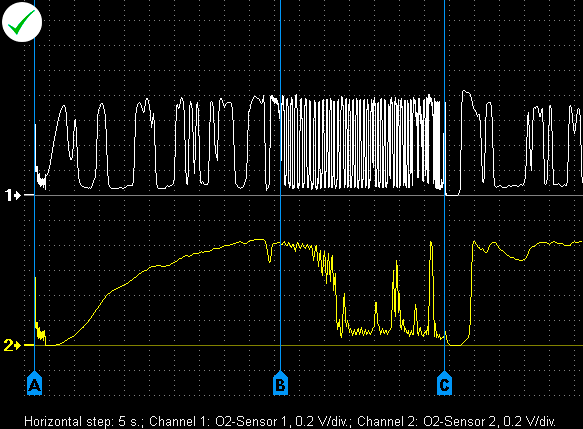 Output voltage waveform from a malfunctioning lambda-sensor mounted before the catalytic converter. 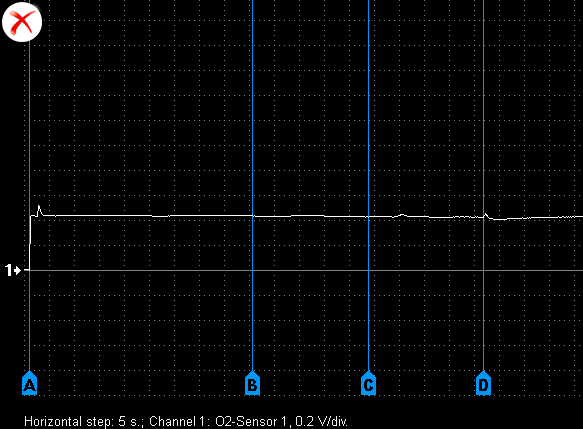 The reaction rate of the sensor is very slow, signal amplitude is low. 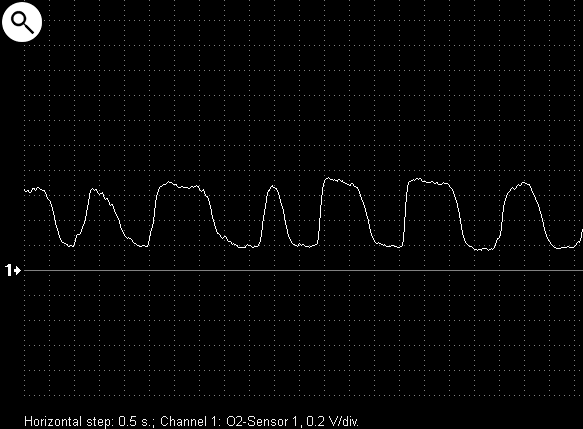 B – sensor heated and starts to work. 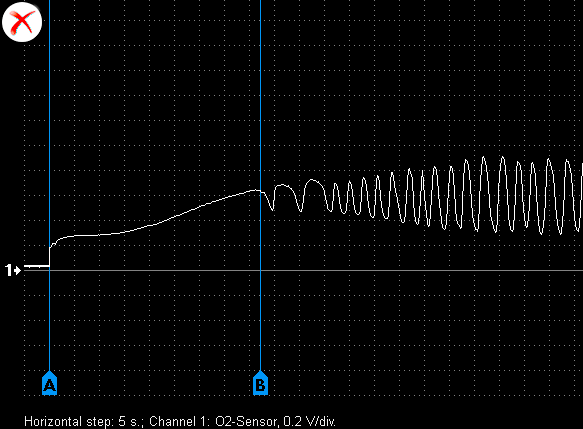 Output voltage waveform from a malfunctioning zirconia narrow band lambda-sensor. 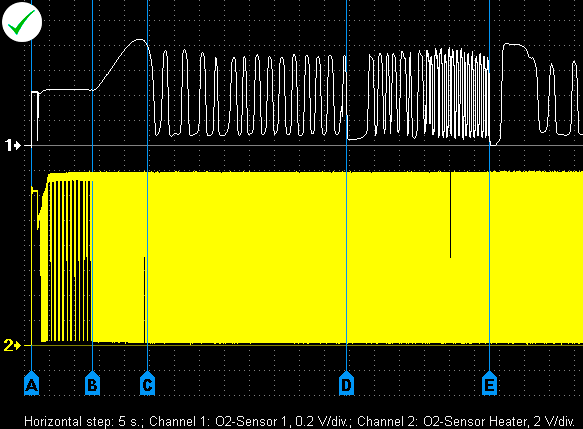 The sensor is not working. 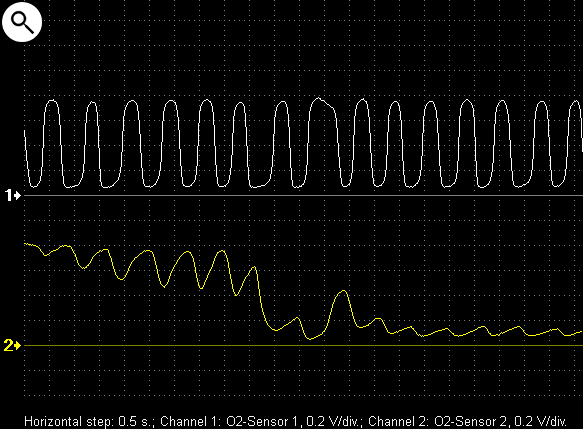 Output voltage waveform from a malfunctioning lambda-sensor. 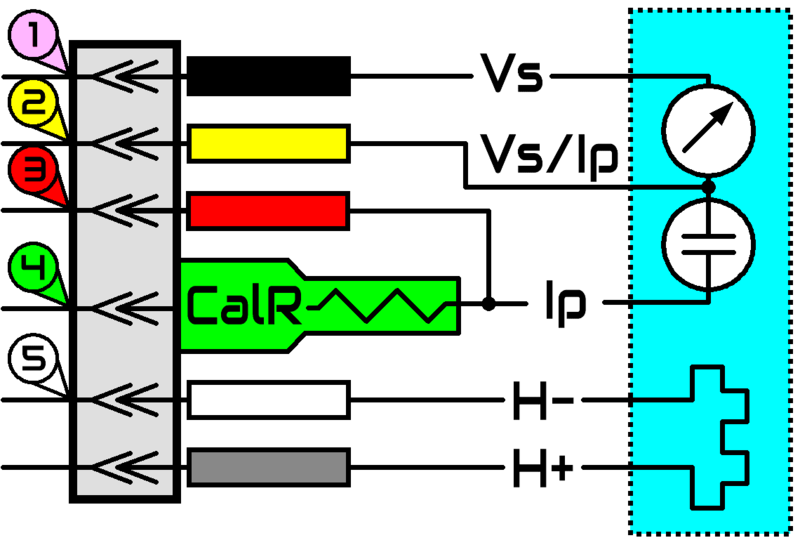 The malfunction causes the sensor to output a negative voltage. 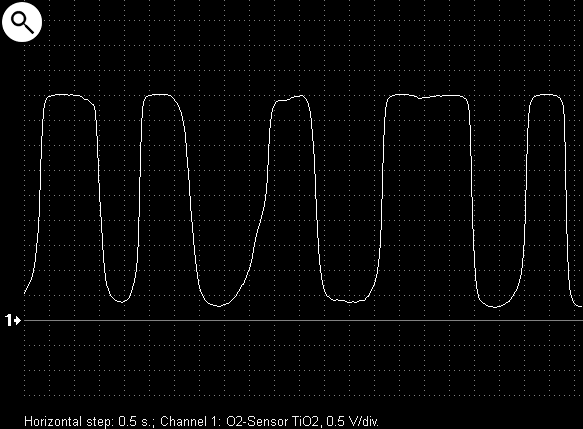 C – turning on the injectors at the end of deceleration. 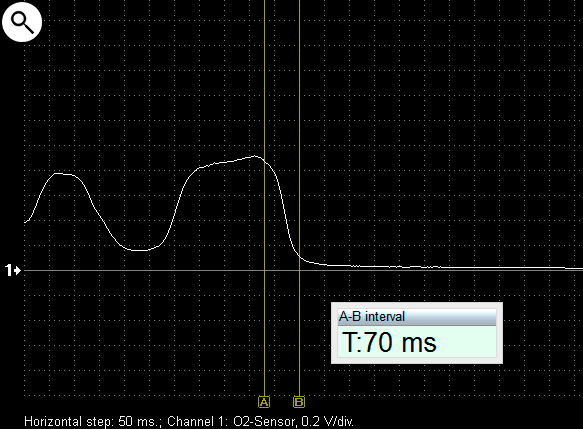 Typical output voltage waveform from a properly functioning narrow band titanium oxide lambda sensor. 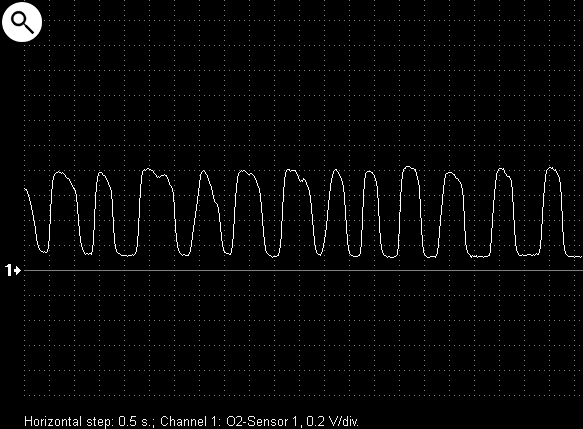 Voltage waveforms from wires of wide band lambda sensor BOSCH LSU (VW Golf 1.6 2003). D – engine shut off. 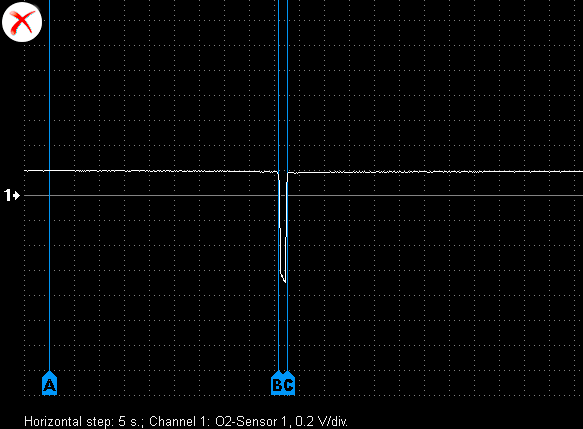 Voltage waveform of the measurement cell and current of the pump cell of wide band lambda sensor BOSCH LSU, received in differential measuring mode. 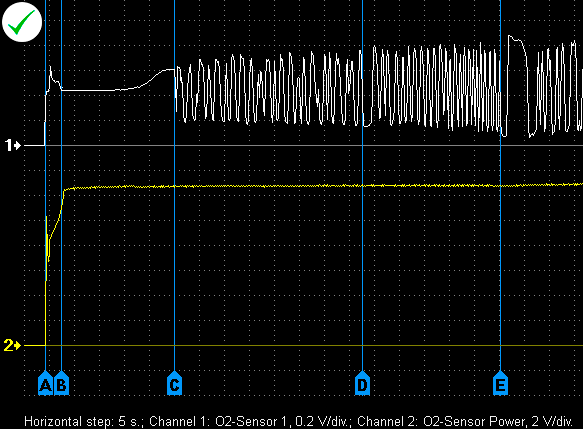 3 4 – voltage drop on calibration resistor of the sensor.